Cleaners LP | Hawk Research Laboratories, LLC. 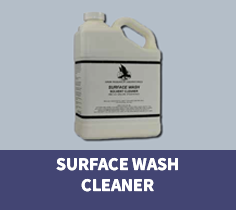 The MicroClean Step I and Step II industrial strength, two-step surface preparation system provides consistent and precise cleaning of porcelain, ceramic and fiberglass surfaces, providing maximum primer adhesion to the substrate. 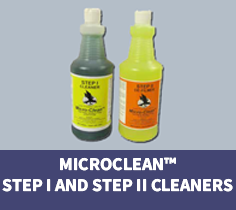 MicroClean Step I cleaner is a powerful blend that uses chelating action technology to neutralize hard water ions during the scrubbing process, allowing the cleaner to quickly loosen and remove soap scum, caulk residue, stains and hard water deposits. MicroClean Step II cleaner uses deep penetrating agents to remove residue and acids from other cleaners, leaving the treated surface at a true neutral pH level. 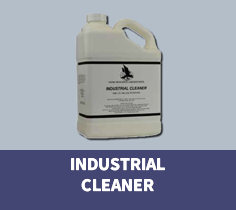 Industrial Cleaner contains highly concentrated phosphoric acid and specialized surfactants to ensure that even the dirtiest surfaces are prepared for the resurfacing process. 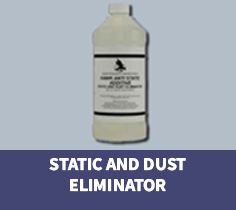 Static and Dust Eliminator prevents dust attraction and static build-up from cleaning or sanding porcelain and fiberglass surfaces. Simply spray or wipe on, let flash, prime and topcoat. QuickPrep 2000 bonding agent utilizes silane technology to bond coatings to substrates without using traditional priming and preparation methods. 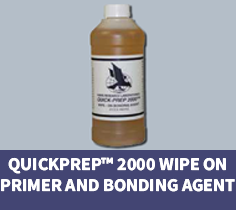 Designed to be user-friendly, QuickPrep 2000 Primer applies easily, dries quickly and is available in clear or with a blue indicator for quality control purposes. PlasticPrep bonding agent can be applied to most plastic and fiberglass substrates, for improved adhesion of the UltraGrip™ 4000 primer system, or direct application of GlasTech™ 9000 series topcoats. 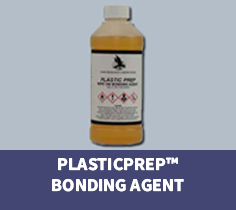 PlasticPrep bonding agent enables resurfacing with less sanding, which reduces “breakthrough” of fiberglass fibers in older fiberglass fixtures. 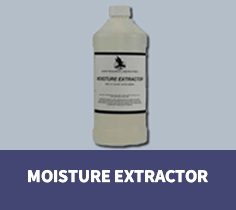 Moisture Extractor removes excess moisture from worn porcelain, ceramic tile grout lines and other porous surfaces. In high humidity conditions, use Moisture Extractor to prevent blushing.